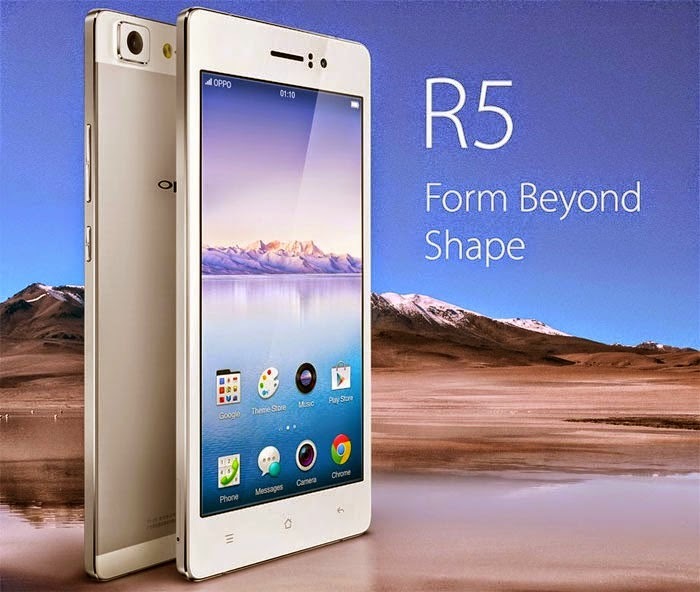 Chinese Electronic Manufacturer OPPO has created the world’s thinnest smartphone and it's called R5. Oppo R5 replaces the Gionee S5.1 from the thinnest. The Oppo R5 has a 5.2-Inch Full HD AMOLED Display with 1920 x 1080 resolution or 423 pixel per inch density and Corning Gorilla Glass 3 as Scratch Resistant. It is powered by Octa Core Qualcomm Snapdragon 615 MSM8939 Chip which clocked at 1.5GHz. Complemented by 2GB of RAM and 16 GB internal storage, unfortunately it doesn't have a micro SD card slot.